When they speak about their ministry in poor urban communities, the UK’s institutional churches often tell a depressing story of decline and failure. And there are worrying signs that some of our churches are withdrawing altogether from the poorest communities; as Bishop Philip North has said, they risk becoming ‘deaf to the cry of the poor’. But we have found that in many of the most marginalised communities, there are seeds of growth and new life. There are churches that are finding radical new ways to build community. Being with people rather than talking about them as ‘other’. Simply being present and “sharing in these places’ forgottenness”. 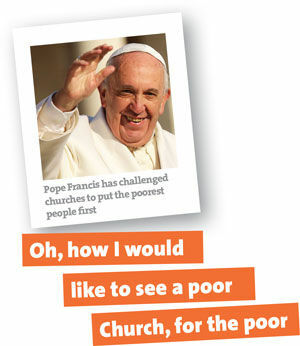 Many of them draw inspiration from the theology and traditions of their denominations; for example, Pope Francis’ vision of “a poor church that is for the poor”, the Church of Scotland’s focus on ‘Priority Areas’, or the Church of England’s Faith in the City research. Almost all these churches say that to live out their vision more fully, they need: more space to reflect theologically about their mission; opportunities to share stories and reflections with other churches that have similar ideas and concerns; and more prioritisation of poor communities by their denominations. With support from Westhill Endowment we are bringing together churches in Sheffield and South Yorkshire who share that vision, to meet those needs. 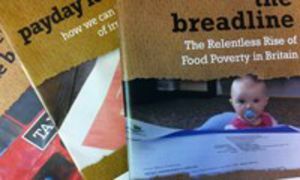 With help from the local Church Action on Poverty group, we have already begun building links, and several local organisations are interested. We are now recruiting a locally-based freelance facilitator. They will identify and recruit other churches and projects involved in similarly transformational community work, to build an ecumenical network of at least 8-10 members: a ‘community of praxis’. The community will support one another and share learning, and organise gatherings for members to share stories and reflect theologically on their mission – with training and facilitation from Church Action on Poverty, relating local activity to our wider theological reflections. 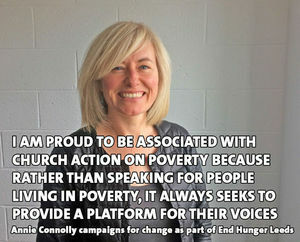 Church Action on Poverty’s media and communications team will visit the churches regularly to record their stories and ideas, and share them within the community of praxis as well as our wider networks. By strengthening these churches in their mission alongside people in poverty, and by amplifying their stories of transformation at a national level, we will challenge the UK’s churches to place a higher priority on the poorest people and communities in their mission, funding and ministry. For more information, resources, or ways to get involved and pray please look at our website. We'd love to hear from you.